Al Gould enrolled in every class that he possibly could with his mentor, Don Butler, instructing. 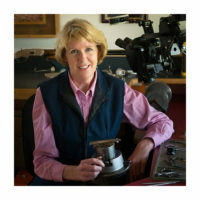 Al would tell the other students, “I challenge you to learn more than I do from Don!” Don Butler’s iconic style of leather carving and stamping has inspired this brand new workshop, where you will be drawing and then stamping (also using tap offs and trace offs) four to five different types of flowers and leaf variances to compliment them. It’s a great way to spend an afternoon and pay homage to Don in his hometown. Materials to Bring: Stamping stone, swivel knife and strop, maul/mallet, stamping tools, paper and pencil. Al is a custom saddle maker and leather artist, having made saddles since 1960. Horses and cattle have been a large part of his life with experience in – and not limited to – high country packing mules and cow punching. Al is also a gold card member of Pro-Rodeo. Al has taught a variety of workshops at numerous past shows and enjoys sharing as much of his hard-earned knowledge as possible. 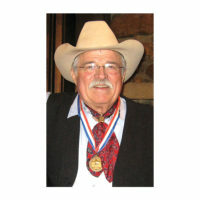 He was awarded the Al Stohlman Award for Achievement in Leathercraft in 2009.